The University of Plymouth and the University of Plymouth Students’ Union have launched a new campaign to increase the amount of recycling taking place across the estate. It follows the signing of a new five-year contract with Viridor that will see new bins being installed across all of its Devon sites that will make it simpler for staff and students to recycle. From early February, a new mixed recycling collection programme will be in place, meaning that all recyclable materials with the exception of glass can be put in a single green bin. All hazardous and non-hazardous waste, including laboratory and clinical waste, will be processed at local materials recovery and energy recovery facilities, guaranteeing a zero to landfill solution. Students and staff were consulted last year as part of a full review of collection services, and their feedback used to shape the new recycling scheme. All internal and external waste containers are now being rebranded, with clear instructions on what can and cannot be rerecycled. 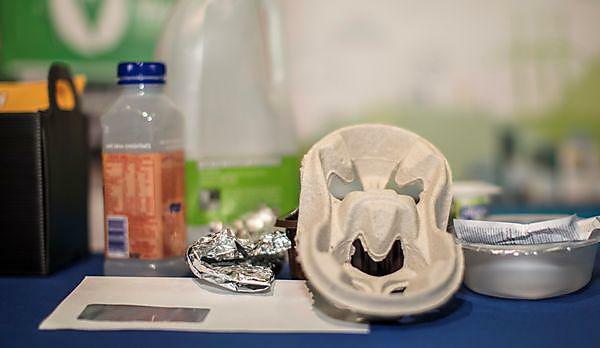 Campus cleaning teams have also been trained to help respond to recycling enquires, and a number of promotional events scheduled to help raise staff and student awareness. The new recycling campaign is also urging students and staff to ‘Ditch the Disposables’ and bring re-usable cups to the University’s catering outlets, receiving a 10p discount on drinks. said Lowri Jones, President of the University of Plymouth Students’ Union.